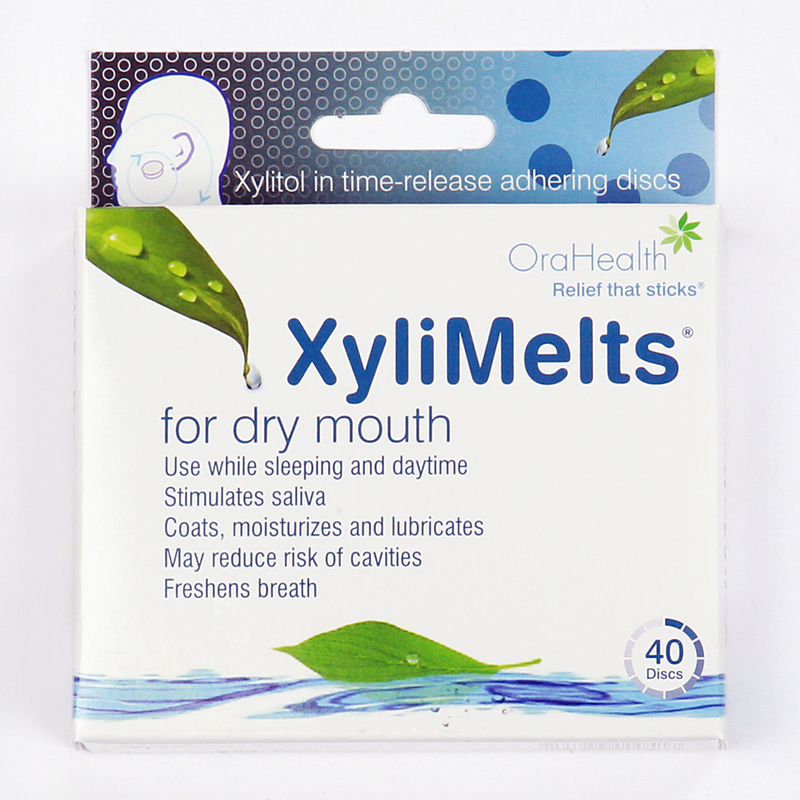 XyliMelts for Dry Mouth is an all-natural, great tasting, oral adhering disc that time releases an effective amount of xylitol (500 mg) and oral lubricant to relieve dry mouth (xerostomia) day and night and reduce tooth decay. XyliMelts is the only dry mouth remedy for use while sleeping when dry mouth is worst. The patented oral adhering disc technology allows XyliMelts to discretely stick to gums or teeth, making them ideal for use while sleeping. A recent clinical study published in the International Journal of Dental Hygiene demonstrated that use of XyliMelts while sleeping significantly improved perceived oral wetness in the morning upon awakening, and improved perceived discomfort from xerostomia. To reduce caries, XyliMelts time-release a therapeutic level of xylitol into saliva while sleeping, when saliva flow is lowest. XyliMelts used while sleeping is the most effective delivery per gram of xylitol for caries control. Additional benefits of XyliMelts include: lasting relief (all night when used while sleeping), freshens breath, stimulates saliva, and usable with CPAP machines. XyliMelts come in 2 flavors: mild mint and mint free and are currently available online and at Rite Aid pharmacies in early March. For more information visit www.XyliMelts.com. For dental professional pricing call 877-672-6541.